With almost 400 Hertfordshire Businesses nominated at the start of the awards process and with initial votes being completely controlled by the general public, the finalists were chosen and had to present their business case and vision for the future to the panel of judges from local Hertfordshire industry professionals. Ian Michell and Candice Ferreira braved the dragons den and presented our case to the judges. 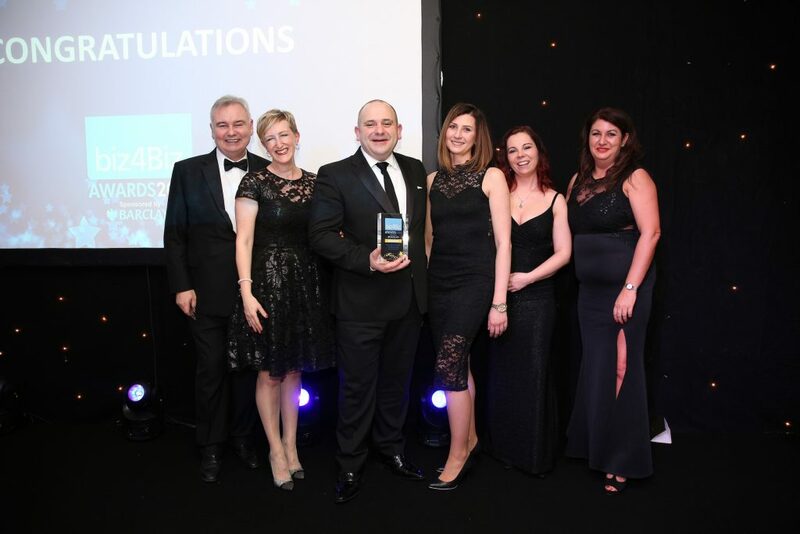 We are really pleased to announce that Flamingo collected two awards on Friday 2nd March at the Biz4Biz awards sponsored by Barclays and presented by Eamonn Holmes. The two awards were the Best Importer of the Year 2018 and the Overall Business of the Year 2018. Representatives from the Produce business collected the awards on behalf of the company who managed to struggle through the snow to get to the Awards Gala Dinner.